Heracles is still struggling to hang on in the Eredivisie, having a very bad season where they changed their trainer and where they are receiving a lot of goals. Vitesse on the other hand is having a very good win streak, making a race to secure 2nd or 3rd place in the Eredivisie. Vitesse definitely showing a lot of good football and scoring quite a bit of goals. 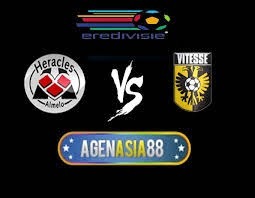 Combining Vitesse´s good shape and the fact that Heracles has the 2nd highest amount of goals conceded this over bet should easily be met. No major injuries affect any of both teams, so over 2.5 should easily come.